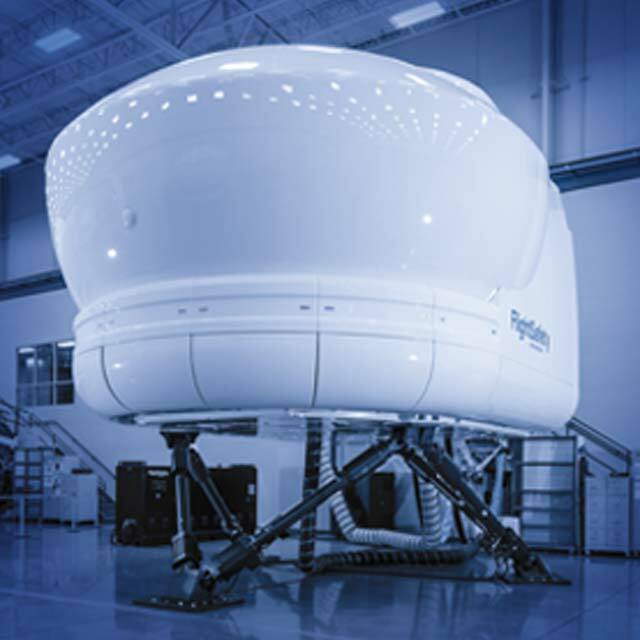 FlightSafety offers comprehensive professional simulation-based training on the Airbus Helicopters AS350 B2. Our highly qualified and experienced instructors, exclusive advanced-technology Level 7 flight training device and integrated training systems help ensure proficiency and safety. Training for the AS350 B2, available for dry lease in Shreveport, Louisiana, at the Helicopter Flight Training Center – Metro Aviation, was designed to meet the professional training needs of all AS350 B2 operators, offering pilots the resources to achieve proficiency and safety. Our Level 7 FTD allows night-vision goggle (NVG) training for high fidelity, low-light training scenarios. Using our high-fidelity graphics package, our FTD features special visual scenes and effects to give AS350 B2 operators the most relevant training available.